I’m sure we’ve all heard of the Stock Market crash that occurred on September 24, 1929, when the market lost eleven percent of its value in a single day. Most of us know that this was a contributing factor to the decade-long Great Depression, when countries all around the world saw enormous economic decline. In the United States alone, the unemployment rate soared to twenty-five percent during this period. 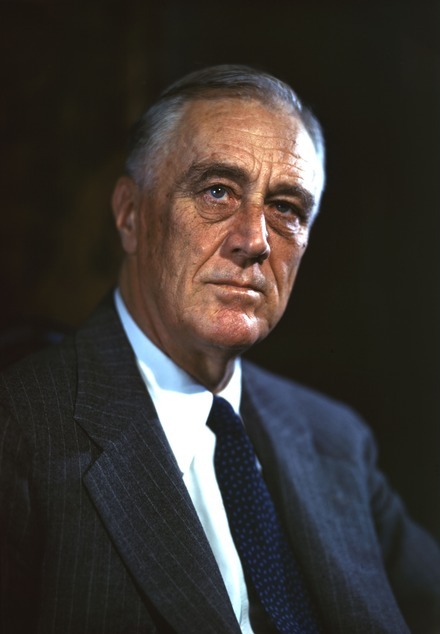 And plenty of us heard about Franklin D. Roosevelt’s “New Deal,” a series of government programs put in place in the 1930’s in order to get Americans back to work through the “3 R’s” of Relief, Recovery, and Reform. I remember learning all of these things in my middle and high school history classes, but they were all just static facts of American history to me until this past December. That’s when my husband and I received a phone call that brought this era of history to life for me. We’d arrived home from a nice dinner out to find a message from my husband’s long-lost step-sister. Her mother had passed away the month before, and in going through her mom’s effects, she’d found a box of my husband’s father’s things which she wanted to return to us. When the box arrived, we were thrilled to find black and white photos of my husband’s parents and grandparents, old watches, birth and baptism certificates, diplomas, and other interesting memorabilia. But of most interest to me were a set of hand-written notes on notebook paper, as well as an old journal—all which had belonged to Carl Uhlarik, my husband’s grandfather. As we read over Carl’s neat script, we found the loose-leaf pages to be a journal of his efforts to write and publish a novel. The journal, dated February 10, 1939, was an odd assortment of sentences, phrases, and short paragraphs detailing story ideas he’d written down to remember for future writing endeavors. These items began to bring the man I’d never met to life, and it made me quite curious to know more about him. 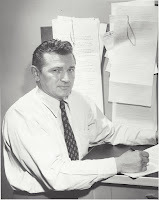 Thankfully, my husband remembered the basics…and despite the fact that Carl lived long before its invention, the internet helped me research other aspects of his life. The most interesting detail I found was that he worked for the Nebraska branch of the Federal Writers’ Project, one of the many arms of FDR’s New Deal program. 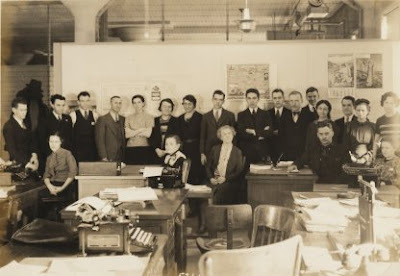 The Federal Writers’ Project was created in 1935 to provide employment for librarians, teachers, historians, writers, and other white-collar workers who were otherwise unfit for manual labor jobs. Instead, these folks were tasked with writing guide books about the peoples, geography, history, resources, traditions, and achievements of their respective states. All 48 states at that time had a guide book, as well as Washington D.C. and Puerto Rico. The American Guide Series is still considered to be one of the most comprehensive surveys of the American cultural geography ever written. FWP authors at work in their Lincoln, Nebraska office. Over time, the job expanded to more than just the guide books for each state. These historians went on to write the oral traditions, folklore, interesting tidbits, and historical facts for their states. 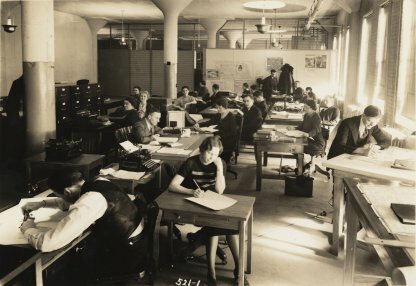 Today, the Library of Congress contains over 300,000 pieces written by the authors of the Federal Writers’ Project, all filed under the American Memory Collection. believe the man standing left of the two posters in the right corner may be Carl Uhlarik. 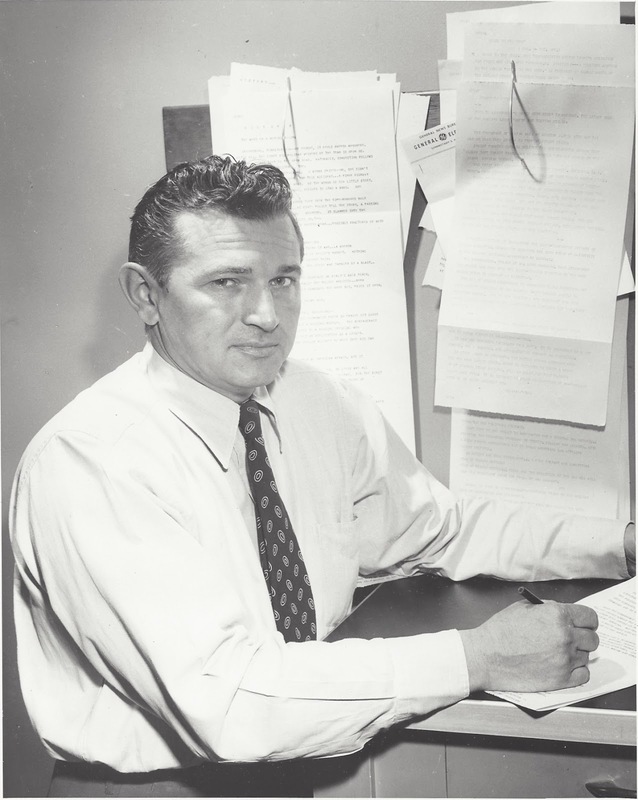 I can’t say what happened to all of the men and women who worked with the Federal Writers’ Project in the late 1930’s, but for Carl Uhlarik, his stint with the FWP set him on the path of writing throughout the rest of his life. He went on to work long-term jobs in radio and newspaper news, as well as doing freelance articles for various magazines. Among those are various western history magazines such as The West Magazine and Real West Magazine. It was pretty exciting to search the internet and find digital copies of a few of his articles published in the 1930’s, 1940’s, and 1950’s. I was also able to find and a few magazines on Ebay with his articles inside. What a thrill to read his words all these years later. It made him come alive in a way I never expected to experience, and he made The New Deal come alive in my brain in a way that it never had before. It’s your turn: Have you explored your family tree and discovered any interesting characters? Who are they? 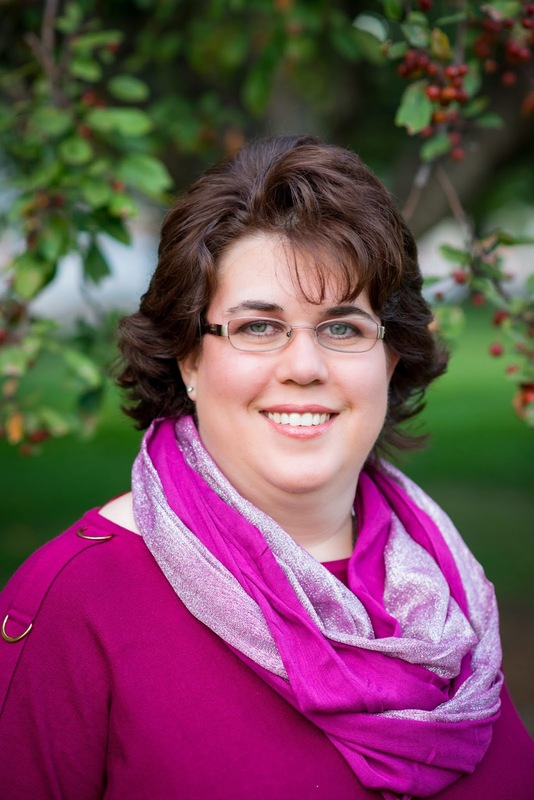 Did discovering your ancestors make history come alive for you in a new way? 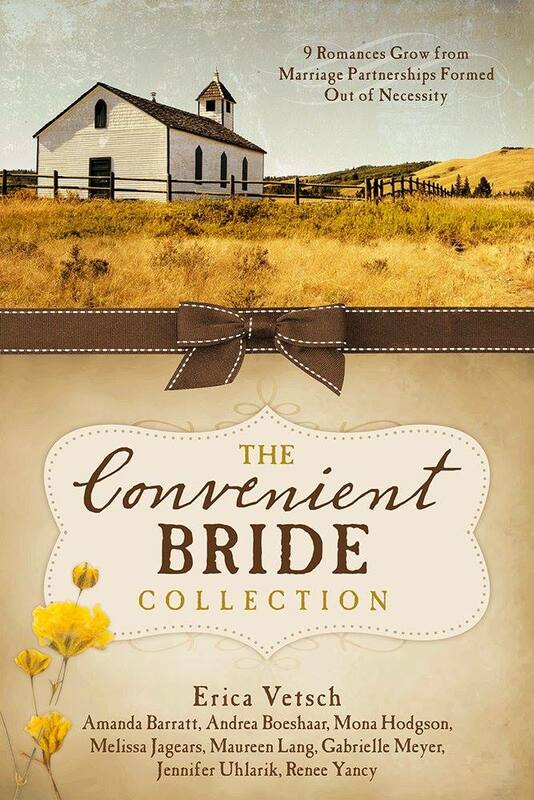 Join nine brides of convenience on their adventures in a variety of times and settings gone by—from a ranch in California…to the rugged mountains of Colorado…to a steamship on the Mississippi…to the dangerous excitement of the Oregon Trail…into high society of New York City. No matter the time or place, the convenient brides proceed with what must be done, taking nuptials out of necessity. . .and never dreaming that God might take their feeble attempts to secure their futures and turn them into true love stories for His glory. Thank you so much for stopping by, Connie. I'll contact you privately about a repost of this blog article. What a great find for your family! I have some letters from my mom's family that were passed down to her, and then to me. My mom's step-grandmother wrote out the testimony of her salvation, and then how she met and married her husband (my great-grandfather) who was a widower with 9 children. I love old letters from generations gone by, Donna! I recall that while we were cleaning out my grandmother's desk in preparation to move her into a smaller place, we found one my grandfather's letters written to her during WWII. Since my grandfather had passed away about 6 years prior to my birth, it gave me a chance to see his thoughts and the love he held for his wife and two children. Treasure those writings you have. They are priceless! Fascinating blog, Jennifer. I, too, took the New Deal as just a part of facts to learn about US history. I googled American Guide Series and looked at the images for states in my area of interest. Very enlightening. Colorado is billed as "...the Highest State"; New Mexico—"...the Colorful State"; Texas—...the Lone Star State" which has stuck over the years; Arkansas didn't have a slogan. I wonder what states other readers would have chosen. My sister and I do genealogical searches—no famous or infamous relatives-yet. I'm so glad to know I'm not alone in learning the facts of history without seeing the people behind it. That's a hard thing until you find that personal connection. Anyway, the American Guide series would be a fascinating collection to have, I'm sure! What a wealth of information must be contained in each volume. My older brother is the genealogist in my family, and he actually found that one of our relatives from the 1600's is listed in Foxe's Book of Martyrs. Fascinating stuff!